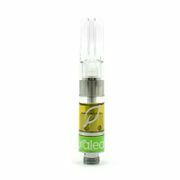 Curaleaf Plattsburgh offers a variety of medical cannabis vapes for inhalation. Inhalation is the fastest-acting method of administration with typical onset of effect within 90 seconds and relief lasting for 2-3 hours. Curaleaf offers vapes in many ratios of THC: CBD, including 20:1, 1:1, 1:20 and more. Ask your Curaleaf pharmacist about new medicine today, and start living life well.